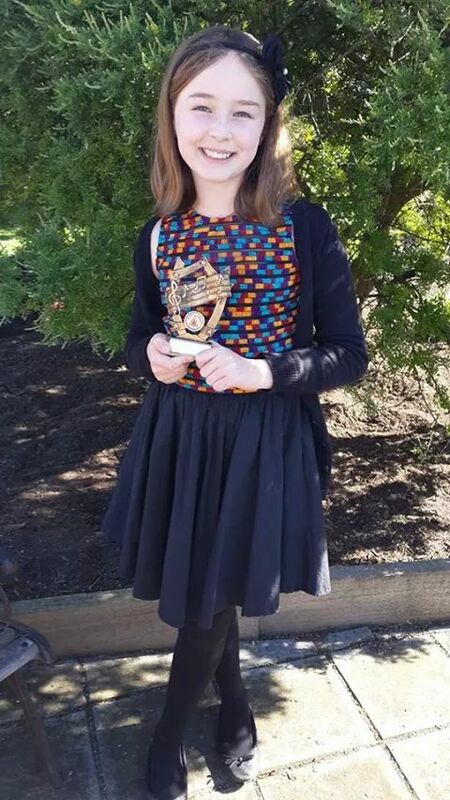 Ten year old Rendelsham’s Drew Baker entered the Mt Gambier Eisteddford 2014 solo division, singing ‘Our Choice’ by Lenka. The judges awarded her first prize in her division. Drew is an avid viewer of The Voice Kids and she would like to continue singing and one day enter the The Voice. Drew is a student at St Anthony’s Catholic Primary School Millicent. Drew was also a member of the winning team of three year 5 students, debating on the topic ‘are big families better than small families. Sophie Skeer and Ellie Cook made up the successful team with Drew being awarded the best overall speaker on the day. St Anthony’s students were also successful in several other categories. Sophie Wallis, Clare Davey and James Lucas debated on ‘compulsory voting taking out the title in this category. Tyler Redding, James Grant and Ruben Van Eeden debated on the effect of violent video games on society and took out the title in this category. The Mount Gambier Eisteddfod is part of the ongoing work of Backstage Incorporated which was formed in 1978 to promote the performing arts. This has been achieved through scholarships, achievement awards, physical assistance with local productions (eg set making or providing backstage crew) and creating situations where young people can perform in public. As part of the promotional work, the Mount Gambier Eisteddfod was commenced in 1982 to give people the opportunity to perform in public while being adjudicated on the standard of their work. The membership of Backstage Incorporated is made up of people of all ages from children to senior citizens all of whom work together in a friendly atmosphere for a common goal. Backstage Incorporated is not affiliated with any individual school or club; neither does it support any art form over another. Instead, it gives support where it sees the most need. This is also reflected in the members who are made up of individuals with different involvement in the arts, some with just an interest in arts in general. While the Eisteddfod enjoys the sponsorship of Arts S.A, Whitehead Group of Companies, Win Television and numerous business houses and individuals, the majority of funds for the Eisteddfod and other projects are raised through the fundraising efforts. Categories: Community Groups, Events, General News, Rendelsham, Wattle Range | Tags: Eisteddford | Permalink.